Taylor Swift Wonderstruck-My daughter, Sarah is a big time Taylor Swift fan, she knows all her songs and owns a few t-shirts. So needless to say she was over the moon when this package came. And the pain, oh the pain that she had to go through waiting for me to get the photos done so she could have it was unreal. To me the scent is perfect for preteens and teens alike. 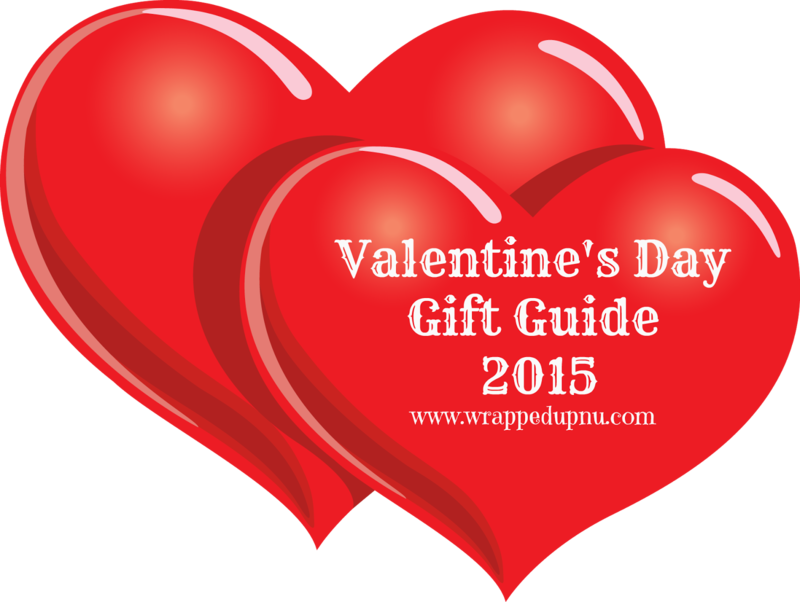 It is very girly girl and I love that it is made for teens and is more of a teen smell. 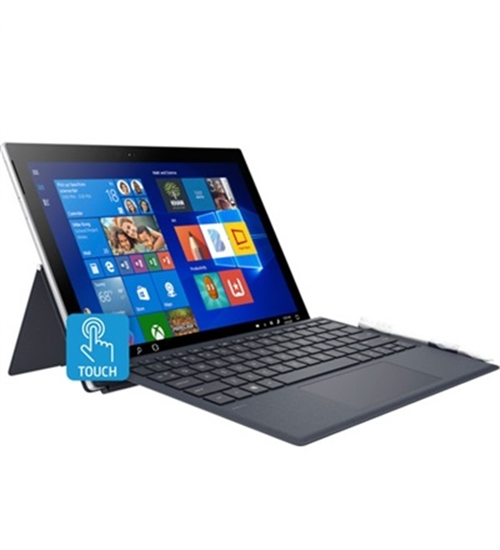 It is easy to use and has a twist base to move the product up and down. It goes on smooth and clean-it's no oily and leaves no marks. The makers of Taylor Swift Wonderstruck hit the nail right on the head in making this fragrance. 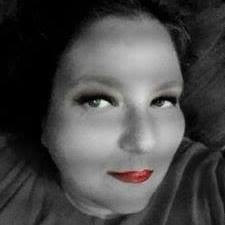 Taylor Swift Wonderstruck is a delightful pure, sweet, sassy and innocent scent. It represents everything that Taylor Swift stand for all what all younger girls should be-sweet with a little bit of sassiness. Taylor Swift Wonderstruck is made by Elizabeth Arden. 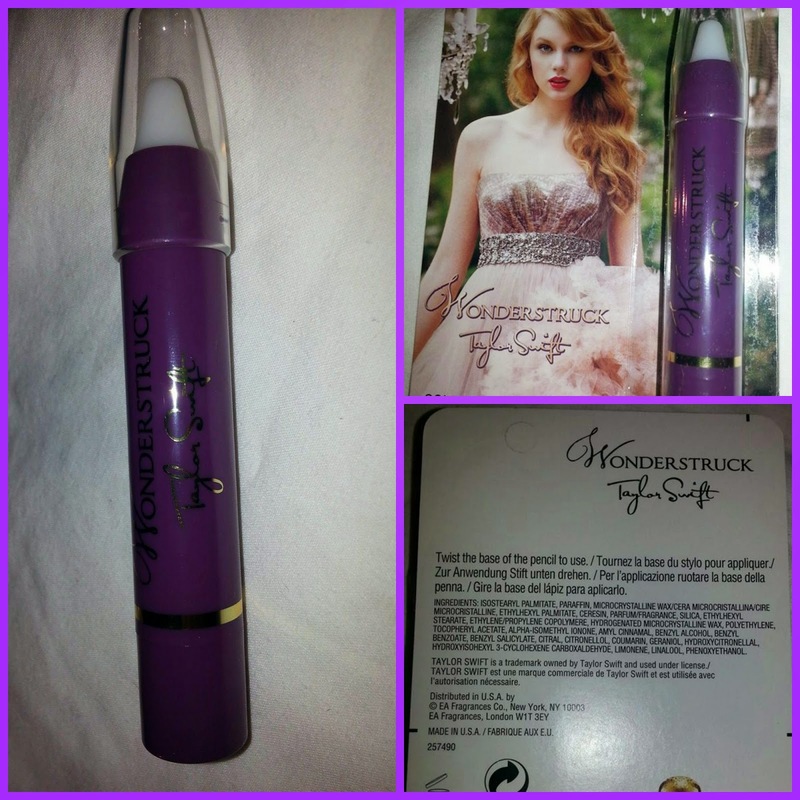 It is currently available for purchase at Walmart and Walmart.com for the price of $9.99 for .10 oz/2.75 g.
Carry a lasting wave of sweet-smelling freshness wherever you go with the Taylor Swift Wonderstruck Perfume Pencil. Magical and alluring, this scent creates a great first impression and memorable encounters. This women's perfume comes bursting with vibrant fragrance of fruits, kissed by a bouquet of soft petals and a touch of sweet indulgence. The flawless beauty of freesia, apple blossom and raspberry spark a swirl of vibrancy and feminine allure. At the heart, a sweet surprise of blissful vanilla is embellished by airy, sun-drenched honeysuckle and white hibiscus. Notes of golden amber and sandalwood are woven with a kiss of lush peach for an intoxicating finish. With this perfume in your purse, you can keep a fresh fragrance on you no matter where you go. 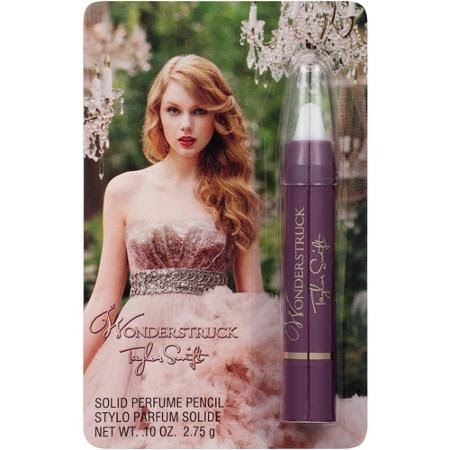 Enhance your day with the Taylor Swift Wonderstruck Perfume Pencil. Inspired from Taylor's song "Enchanted"